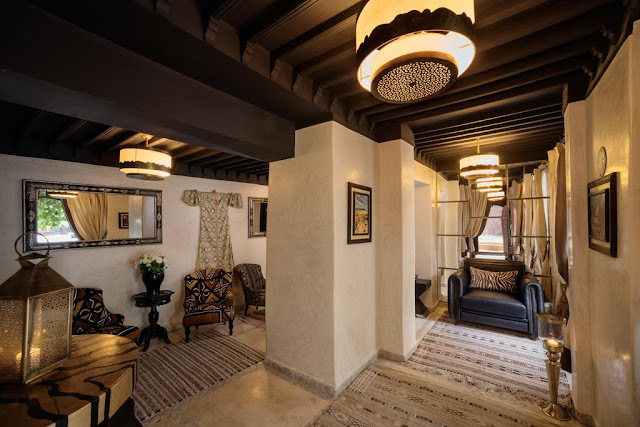 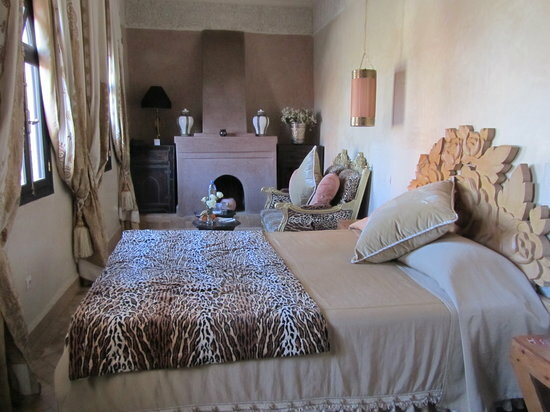 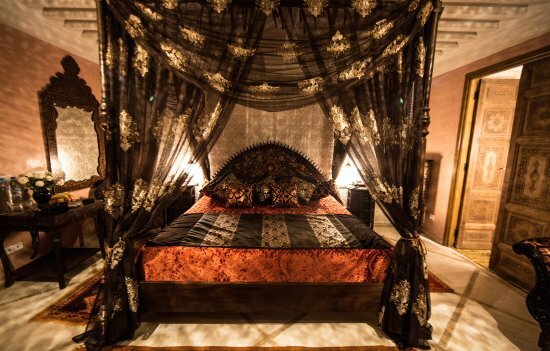 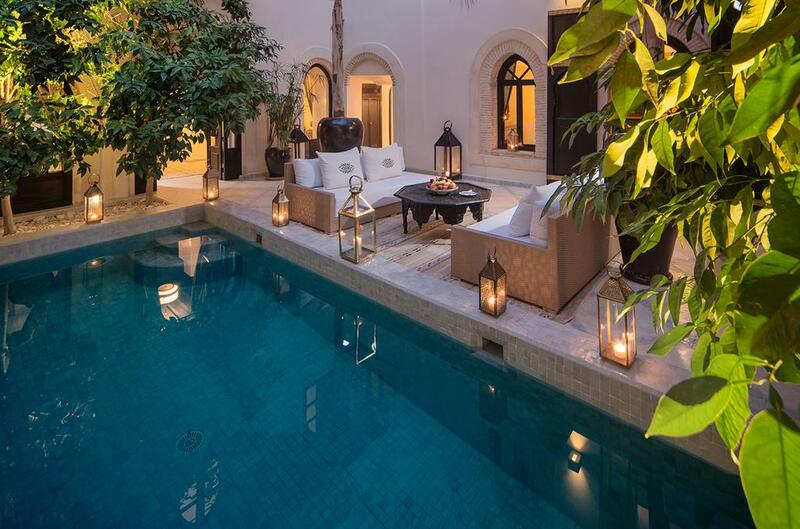 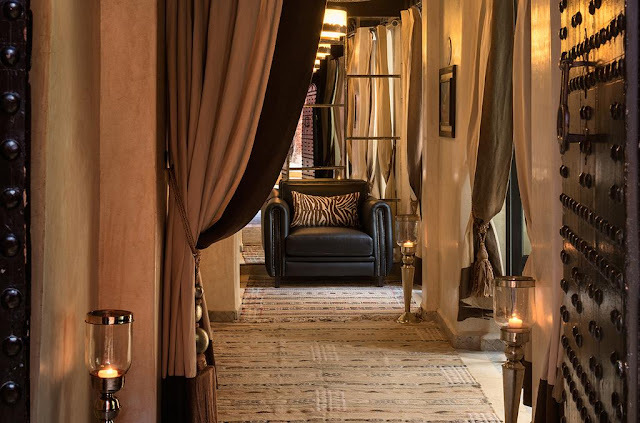 Built around a verdant courtyard garden, its one-of-a-kind rooms are sumptuously decorated with stunning handcrafted furnishings, splendid textiles, and modern, deluxe amenities. 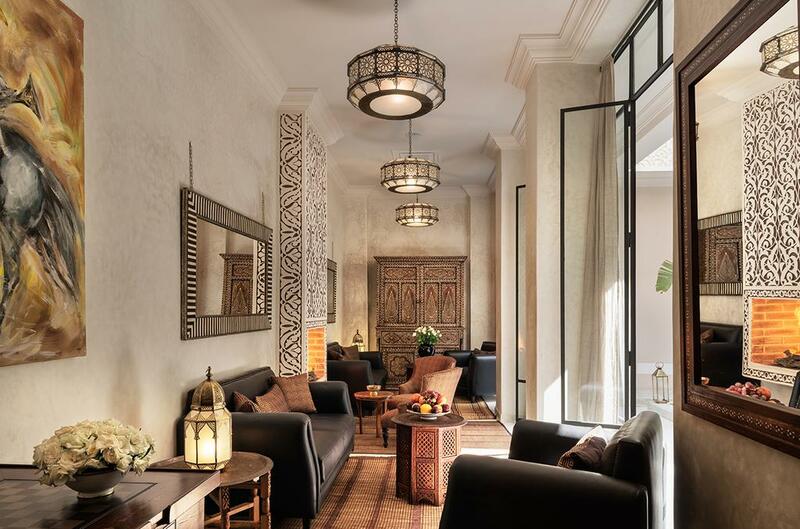 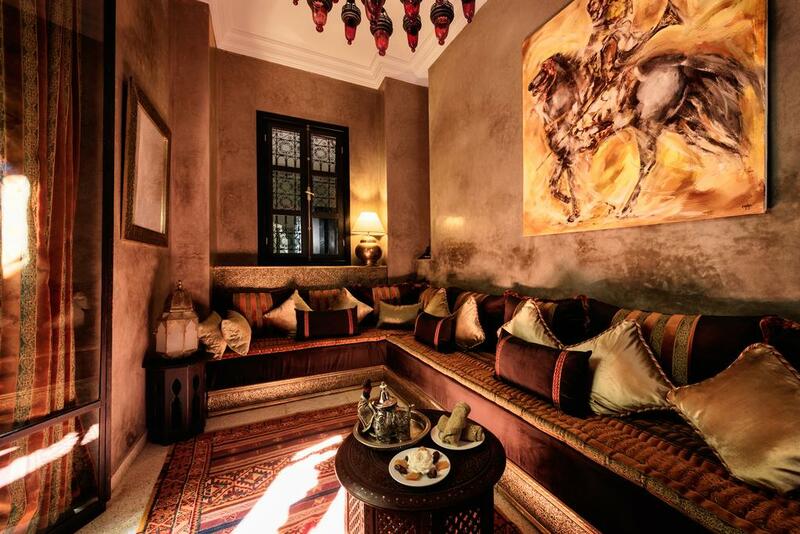 The style blends traditional Moroccan elements with contemporary Italian design, making for a wonderfully refined ambiance. 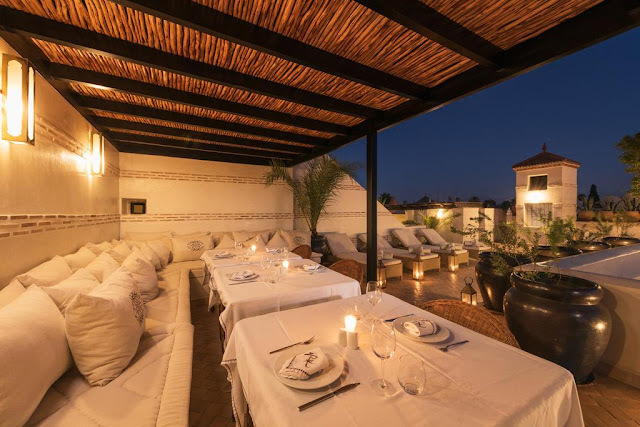 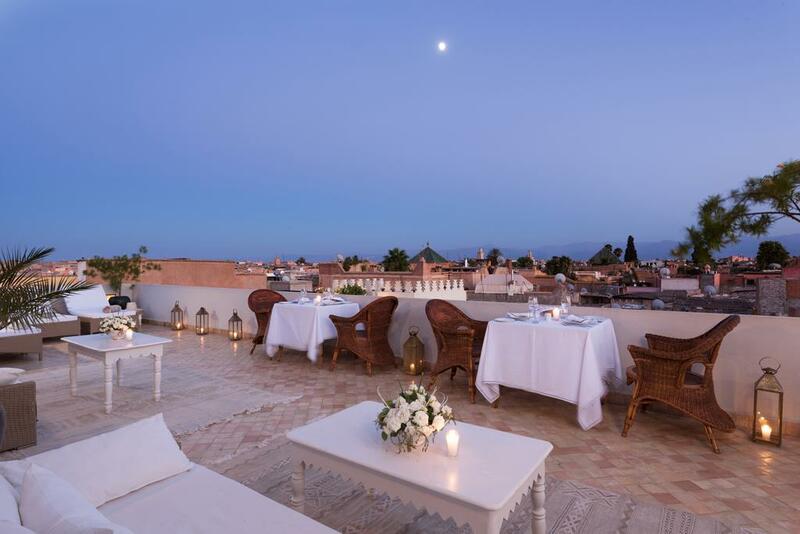 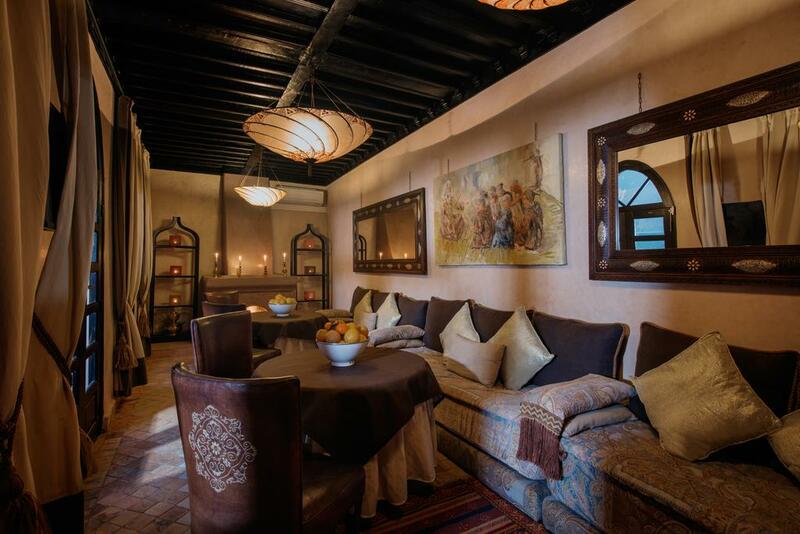 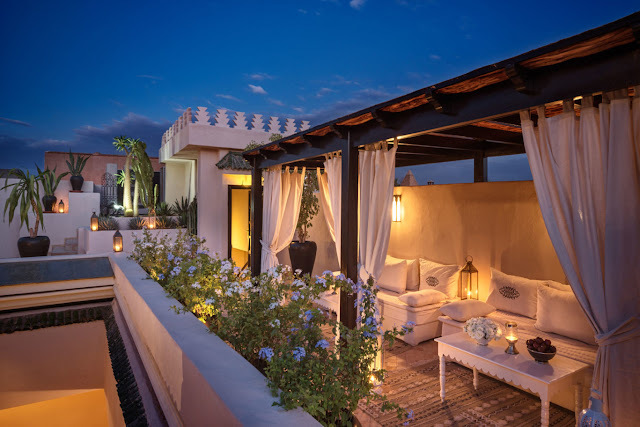 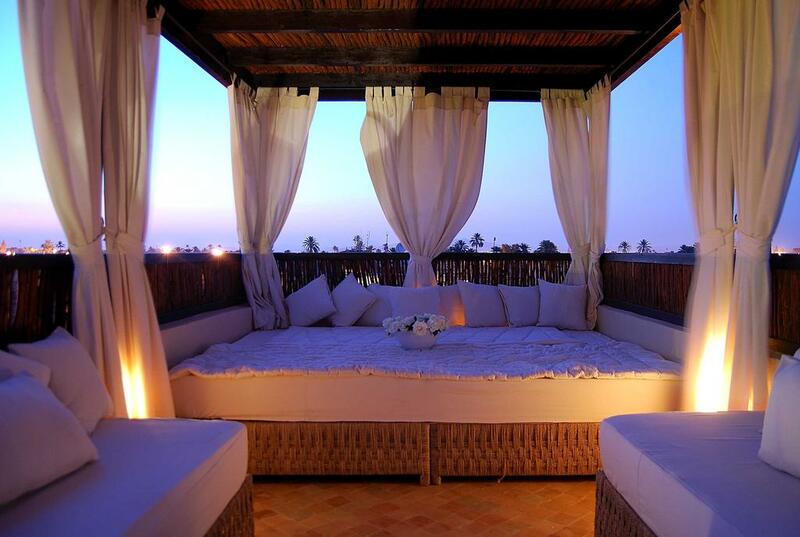 Dining venues range from intimate courtyard lounges to a spectacular rooftop terrace with pool and views of the Atlas Mountains, and the menu is a burst of Mediterranean flavors.